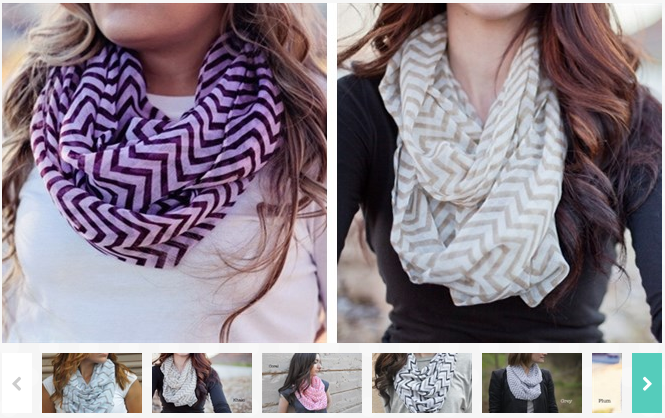 Chevron Infinity Scarves Only $3.99 (Reg. $19.99)! You are here: Home / Great Deals / Chevron Infinity Scarves Only $3.99 (Reg. $19.99)! Do NOT miss this HOT blowout sale going on now! You can score one of these gorgeous Chevron Infinity Scarves for Only $3.99 (Reg. $19.99) right now! And shipping starts at only $2.99! They have quite a few to choose from so go have a look!